The new Alivio telescopic boat rod comes in 5 different lengths, ranging from 180cm to 300cm with a maximum casting weight of 150 grams. Build on XT30 carbon the rod combines great strength with sensitivity. The Alivio is fitted with a DPS reel seat and Shimano stainless steel Hardlite guides for perfect line guidance. A special feature of this rod is the rubber bulb on the rear end which is designed to have grip and thus avoid the rod slipping when the rod is put to the side of the boat. 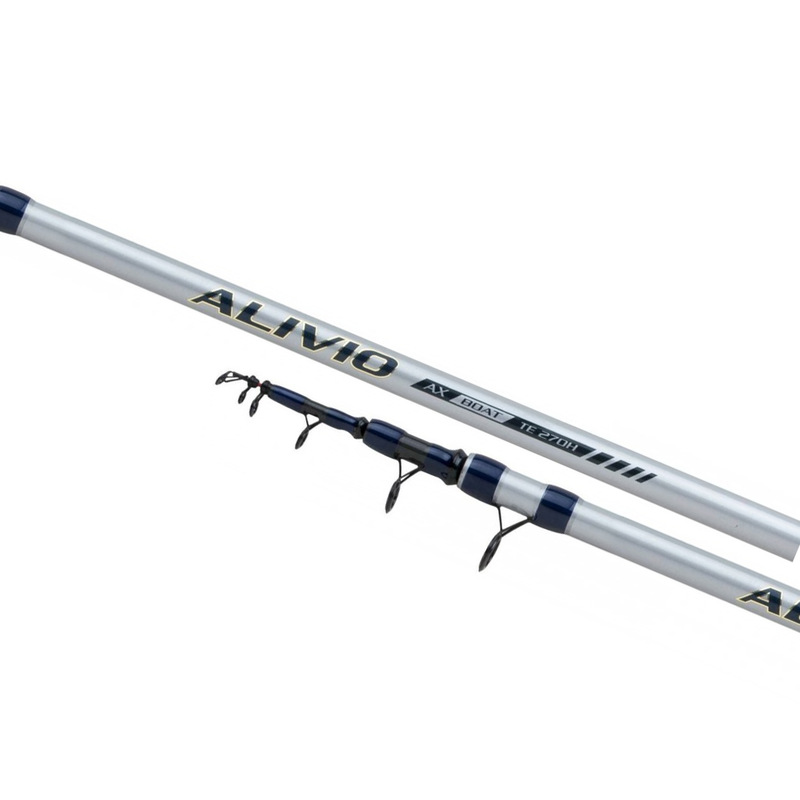 The new Alivio telescopic boat makes life complete for the saltwater angler looking to spend a day out at sea fishing for his favorite species of fish.